A man can never outgrow or lose the God he knows in a first person, present tense experience. And when he finds this God, he tells his brothers, saying: "If I had not come and spoken to you, you would have no sin, but now you have no excuse for your sins." God reveals himself to man as his eternal contemporary, saying: "Unless you believe that I am he, you will die in your sins," but man finds it almost impossible to keep the tense. He thinks of God in the third person, addresses him in the second person, but can only know God in a first person, present tense experience. Just imagine - no one can sin until God reveals himself to the individual in a first person, present tense experience. Only then can man have no excuse for his sin. And when one who finds God tells his brothers, he receives no greater reception than the first one did, because they see him as a man of flesh and blood, and cannot see this invisible being who says: "I came down from heaven." Man is looking for Christ to come from without, but his revelation is whispered from within. 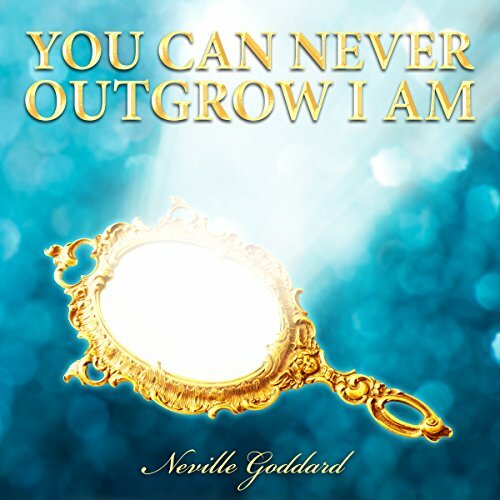 Neville Goddard is absolutely God! His work is fabulous and priceless. Superb. I just didn't like the reader, he was too fast for my liking. The pausing wasn't enough for moi. This book is beyond awesome, it is I AMness! Purchase it but come with a ear to hear what the spirit is saying to the church & you will receive what Christ, you are; looking for...the true Christ within! Absolutely loved every bit of it. Straight forward and to the point. Great reinforcer to Goddards other works.